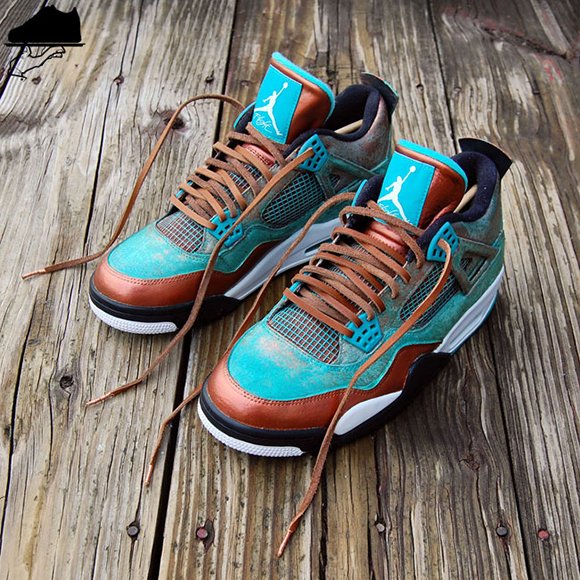 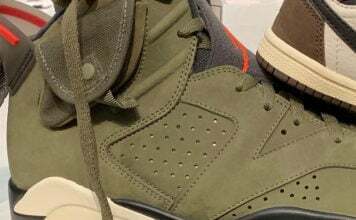 Chef Gourmet Kickz has cooked up another custom, this time around he grabs the Air Jordan 4 and gives them a copper look and has labeled them the ‘Patina’. 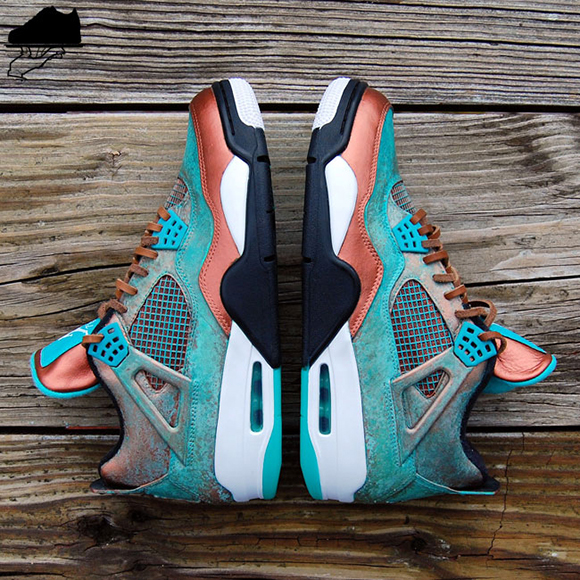 Using the recently released Teal Air Jordan 4, Gourmet Kickz has completely repainted the uppers in various degrees of copper oxidation. 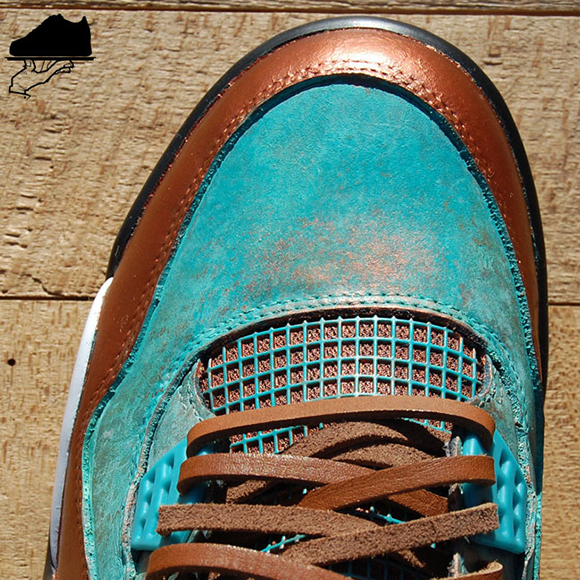 In addition to a copper toe box and tongue, he has also added genuine leather laces that has hand wrapped copper wire lace tips. 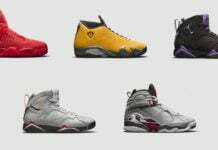 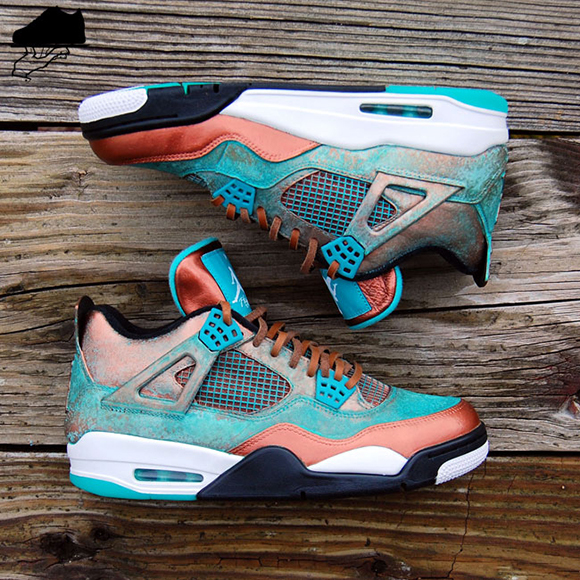 The uppers will also have a texture that resembles an aged statue. 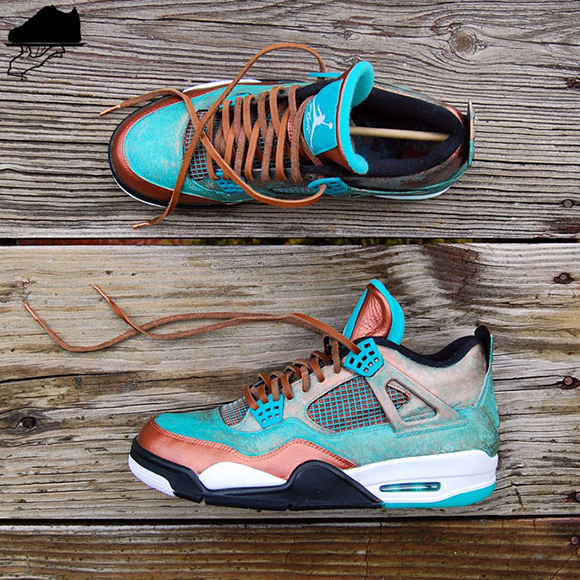 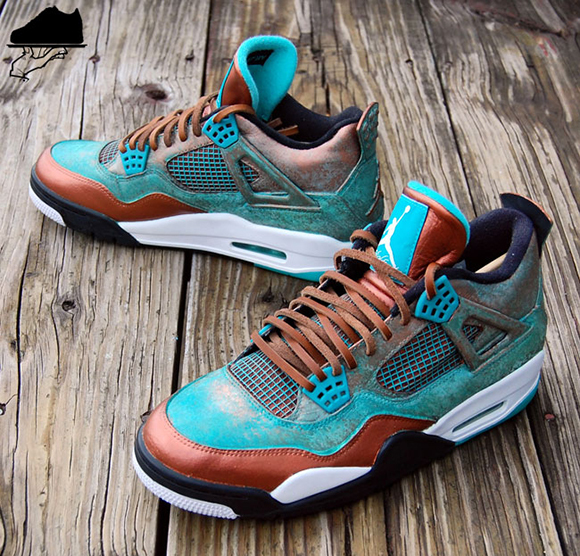 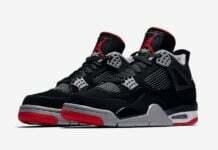 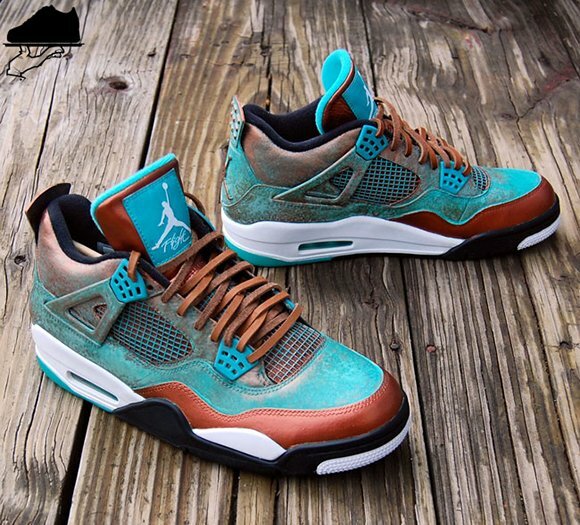 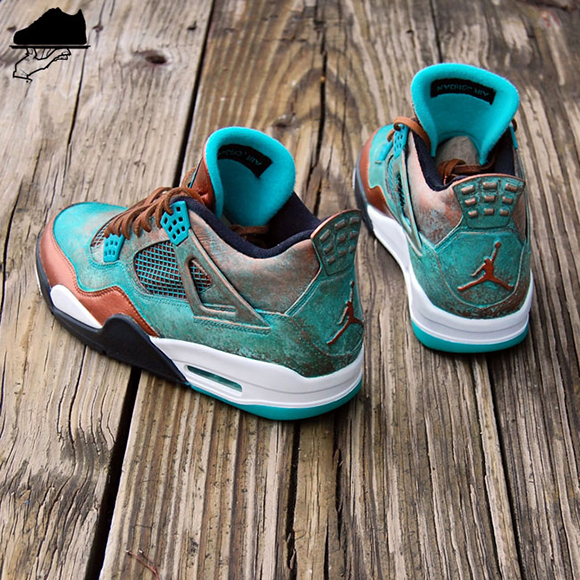 You can have your own Patina Air Jordan 4 custom by heading over to GourmetKickz, but you will have to send him a pair of the Teal Jordan 4s.